The Career Professionals of Canada Awards of Excellence Program nomination deadline is July 1, 2011. Both non-members and members may nominate PROFESSIONAL MEMBERS, and PROFESSIONAL MEMBERS may also nominate themselves for awards. 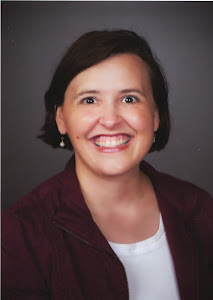 Award recipients will be formally recognized on the CPC Recipients page, CPC News and Views, and in the Career Connections Newsletter, which is received by more than 2800 subscribers. Award plaques will be delivered directly to recipients. For more information, visit the Awards of Excellence page. And get those nominations in by July 1! Okay, so this blog post isn't 100% directly related to resume writing ... but it is something that you might need someday, so I'm sharing it anyway. I've had my current (nonsmartphone) for about 4 years now, and it's time to upgrade. (Actually, it's long past upgrade time...), but I have about a half-dozen voice mails on the existing phone that I don't want to lose when I transition it over. I've heard enough "horror stories" from friends and colleagues who have lost voicemails, photos, and videos when switching over their phones that I want to be proactive about it. So I've been investigating services that will preserve the voice mails by turning them into digital files -- either MP3s or CDs. I use Google Voice with my cell phone (which automatically creates recordings of my voice mail messages), but the calls I want to save were ones that came into my regular cell phone line, not my Google Voice number (which also rings my cell phone), so I don't have them as a digital recording ... only as a regular voice mail message. I'm looking at two services in particular -- each with different costs and different features. The first is voicemailsaved.com, which charges $34.99 for preserving voice mails (up to 30 minutes of voicemails included). They'll send an audio CD for $12.50 ($5 each for extra CDs), or send a link to download the recordings at no additional charge. The second -- a much less expensive option, but one that requires more "me work" -- is savethatcall.com. For just $.50 plus $.05 per minute, you can use third party conferencing to record your voice mails (or any calls, for that matter -- which may actually be useful to resume writers conducting phone-based interviews of clients to collect information on their resume development). Anybody have any experience with either of these services -- or another service they can recommend? BestResumeWriters.net: Legitimate Promotion or Fraud? 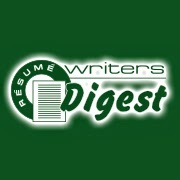 As you have probably already heard, BestResumeWriters.Net is a new online directory that has professional resume writers listed for free. Our editorial team thought your free profile on BestResumeWriters.net will be a win-win solution to you and your potential customers. Our data entry team had gathered some information about you, publically available on the Web. Your profile is ready and live on the website now. With this mail we invite you to visit www.bestresumewriters.net and type your name / last name into the search field, find your profile and verify you are fine with this listing on BestResumeWriters.NET. Please see your profile with us, and let us know if you are fine with being listed as the Best Resume Writer on our website, and if your profile composed by us meets your expectations. If we do not get your permission by May 30th, we will delete your profile until you request to have it recovered. * we will be working next on the website functionality improvement, aiming to provide convenient and effective search tool to the job seekers in need for the resume writing help. Thank you for being the Best Resume Writer! She was asking for feedback about this "opportunity" -- in particular, she was concerned because there is no "name" associated with the website. When I clicked on the contact page, I tried the links for both Twitter and LinkedIn, and neither worked. Resume writing colleague Roleta Fowler Vasquez, CPRW/CEIP, Owner of Wordbusters Resume and Writing Services wrote about BestResumeWriters.net on a "fraud alert" page on her website. Roleta reported that there is some confusion as to whether the "contact this writer" inquiries are forwarded to the resume writer or not. I will investigate this further. Do you have any information on this site? I will update this post with new information as I receive it. I've been writing this blog for a long time -- and I need to review "the basics" every once in a while, because not all of the folks who are tuning into this blog are resume writers...yet! 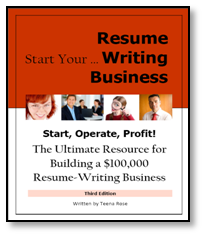 So here's a blog post about getting started ... and, in particular, how to start a home-based resume writing business. Honestly, when I started my resume business 15 years ago, I didn't give a thought to operating my resume writing business from my home. Of course, I was in my early 20s at the time, so I thought a business office gave me more credibility. It did. But after 7-8 years in a business office, my now-husband and I decided to get married -- and, as part of the process, we moved our business into our new home. 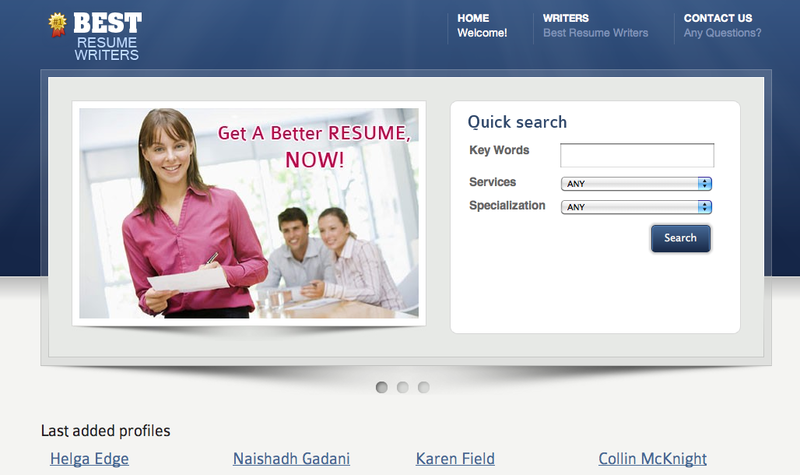 If I were starting a resume writing business today, I wouldn't hesitate to start -- and operate -- it from home. Technology has evolved to where you don't need to meet with clients in person. The current trend is towards more home-based businesses. They require lower overhead and startup money, making them easier for entrepreneurs with limited funds. If you are thinking about starting a home-based resume writing business, here are a few tips for getting started on the right foot. There are several benefits to running a home-based resume writing business. First of all, you can run the business from your home. Since you already pay a mortgage, utilities and car payments, the only thing you need spend money on now is the equipment for your business. To start a resume writing business, you basically need a computer with word processing software -- although you could use Google Docs (although I don't recommend it). Secondly, a home-based resume writing business requires low overhead and startup costs. We alluded to the startup costs above and the low overhead means no employees but you. The key to keeping the overhead low is taking on only as many projects as you can safely and efficiently handle by yourself. A home-based resume writing business is an alternative for people who want to work for themselves without spending a lot in upfront costs. If you have the ability to interview clients, write succinctly, and understand personal branding, consider a home-based resume writing business. Remember it’s about quality, not quantity. The goal of social media is truly about engagement. Creating real and helpful relationships leads to business growth. People buy from people they know, like, and trust. Social media helps people build trust by demonstrating their thought leadership, expertise, and personal brand. “Remember you are dealing with people. Let your organization's real personality shine… work on creating remarkable experiences for your customers,” said Robbin Phillips, BrainsOnFire.com, in a tweet. Social media enables you to do just that. Keep in mind “The Mom & Boss Test.” If your mom would be mortified or your boss would fire you, don’t post it! This is especially relevant advice for our job-seeker clients. © 2011 ● Wendy Terwelp ● All rights reserved. ● Learn how to Rock Your Network® Online is Wendy’s upcoming class, starting June 9th! This class is designed especially for career industry professionals like you. Dubbed “LinkedIn Guru” by The Washington Post, Wendy is a recognized expert on networking both online and off. She is frequently quoted in The Wall Street Journal, The Washington Post, Fast Company, The Philadelphia Inquirer, More Magazine, Monster.com, Careerbuilder.com, ABC, NBC, radio shows and more. Resume writers Charlotte Weeks, Robyn L. Feldberg, and Kim Mohiuddin developed a project called "SixDegrees2Oprah." Billed as "Three career gurus join forces to demonstrate the power of targeted networking by doing the impossible -- scoring tickets to Oprah's last season (and maybe an appearance)!" They were able to "do the impossible," landing tickets on three separate occasions to tapings during Oprah's last season. I've been following the progress of this project on Facebook, and that reminded me of the bigger picture -- Oprah is conducting a very public career change. Retiring after 25 years of hosting the nation's top-rated talk show, she is facing some big changes and challenges with her career change. This is a huge opportunity for resume writers interested in obtaining media attention for their business -- consider a tie-in to the Oprah finale next week (May 25). Send a news release (but do it today or tomorrow). Pitch the producer of the morning show on your local television network that airs "The Oprah Winfrey Show." It's easy to succeed in your job when you love it. When you have passion for the work you do, it makes going to work each day easier. It was apparent that Oprah loved her job -- she covered topics she cared about and interviewed interesting people ... and viewers connected with her because they could sense her passion about the topics. Career changes can be difficult if you're widely identified with your career. Although Oprah is an actress, magazine publisher, and producer, she is most widely associated with her television show. When you have a high-profile career and then you change jobs, it can trigger some identity and self-esteem issues. A very public "good-bye" – career changes can be easier when you can successfully close the door on your old career. Retiring or voluntarily leaving a job makes it easier to move into a new job or a new career than if you are fired. So why do we think it’s ok to do everything ourselves in our businesses? * Fear of losing control. * Lack of confidence in ourselves. * Lack of confidence in the potential of our business. I know. I know. You’ve heard this song and dance before. BUT! While outsourcing isn’t perfect, it’s a heck of a lot better than putting the chains on your wrists from a job that you’ve created for yourself – one where you can’t escape. Answering some e-mails regarding customer issues. Creating graphics to promote your products. 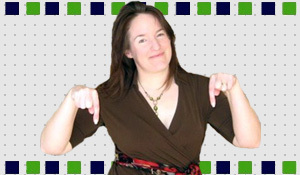 -- Nicole Dean can help you to get more done in your business without going crazy in the process. Yes, you can have a business AND a Life! 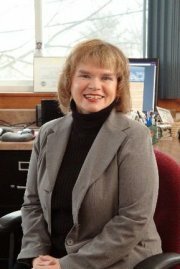 Check out OutsourceWeekly.com and sign up for her free “Outsourcing Mistakes” lessons on the top of the page to get started. Yesterday's blog post talked about how to get more traffic to your website. But how do you get them to become clients once they're at your site? One big factor is whether or not they trust you. I'm a member of Mark Hendricks' Internet Success System. Each month, Mark offers a Q&A call, and last night's was on the topic of building trust with prospects -- but hurry, the recording will only be available until May 25. How to make offers without the "snake-oil sales techniques"
Why people keep falling for the next "magic button, silver bullet or shiny object"
Click here to listen to the audio. It's free, and you don't need to register for anything, or buy anything. Online, one of the most significant keys to success is getting website traffic. The more visitors you have, the better your sales and profits. Presumably you have a niche for your resume writing service (executive, financial, IT) and you know your keywords, and regularly conduct keyword research to stay on top of what's popular. Based on those assumptions here are five quick and easy tips to get website traffic fast! Tip #1: Make sure you're actually tagging your keywords. Do you spend a lot of time optimizing your content and then neglect to tag them on your webpage? Tags are where search engines look and if there are no tags, they'll pass right by your web pages. Here's a quick brief on tags. * Title tags. Title tags are quite possibly the most important place to situate your keywords. * Header Tags. Header tags are next in order of importance to search engines. They're ranked in order of importance. Tip #2: Add content to your site daily.Content is essential for traffic and a top search engine ranking. Content is what search engine spiders look for and index -- without it, there's nothing to index or rank. Give visitors and search engines a reason to visit and index your site. Make a commitment to provide daily, optimized content and your traffic will soar. Tip #3: Procure valuable and relevant incoming links. The more websites which link to your webpages, the more valuable search engines perceive you to be -- though not all links are created equal. Search engines give more leverage to links from sites which are popular and credible and from sites which are relevant to your website topic. - A text link occurs when the webpage address is embedded in the text. Readers simply click on the link and are redirected to a new website page. - If the link is to an internal web page, for example an article published on a website, rather than the home page, it is called a "deep link." * Blogging and participating in social networking forums, chat rooms, and social networking sites. Now more than ever before, Internet marketing is about building a community. Whether you offer a forum on your website or you participate in social networking sites, social networking is a valuable traffic generating tactic. Sites like Facebook and Twitter can be powerful tools for generating links and traffic to your site -- create a profile and then post comments, links to your site, and ideas which generate conversation. Get involved -- many chat rooms and forums are industry specific (including those for job seekers), find those which cater to your industry, and begin participating. Speak to and connect with a highly targeted audience. This is where most resume writers and career coaches stop. Tip #5: Advertise for more exposure and traffic.Advertising, when handled strategically, can be used to promote your content and products or services. PPC (Pay-Per-Click) advertising is often the tool of choice because you control the advertising budget on a daily basis and have the tools to test and track your advertising efforts. Once you've honed your PPC ads, the return on investment can be phenomenal in terms of traffic and purchases. I have that Allstate car insurance commercial in my head. You know the one (it's called "Mayhem is Everywhere") -- the guy is driving in his car and his GPS voice gives him wrong directions (including a quick "Turn right,") and he crashes into another car. At the end of the commercial, the guy playing the GPS says, "Recalculating." Isn't that what life is all about? Recalculating your path after you make a wrong turn -- or worse, crash? If I steer my vessel in the wrong direction, I can find a map and chart out a new course. Stopping is not an option. I will find my way as long as I keep my eyes on the prize. Success is a journey, not a destination. Strive to make each step count. A positive attitude helps you move forward and, even when you are unsure of where you are, you are not lost. Instead, choose to become a trailblazer. The generation coming behind us will have access to another route thanks to our resolve to stay the course and forge a new path. When you come to a fork in the road, trust your intuition to guide you. Being spontaneous in this way helps release your inner self and experience success in a new way. Spontaneity gives you freedom. Although it feels daring to get off the fast-paced highway of life and take the scenic route, detours can be worthwhile because they lead us to discover the beautiful things in life that we otherwise may have missed. The road less traveled is filled with the most stunning sights. Flexibility allows us to prosper despite failure. Being flexible gives us the strength to keep going when we would rather stop. Reduce Your Stress: Get Organized! Julie Walraven, of Design Resumes, had an inspiring blog post yesterday ("Why I Spent Saturday Shredding.") That's Julie on the left there, and her office does look pretty good (from what I can see of it in the photo...) I asked her for a before-and-after photo of her office, but she didn't take one, unfortunately. Seeing the piles of shredding -- along with all my normal paper -- is stressful! When I'm not organized, I'm stressed. When stuff is piled everywhere, I lose or misplace notes. I would forget about meetings and I was notorious for losing receipts. All of this made my stress rise through the roof. When you buy something and it doesn't work, you stress. THEN when you can't find the receipt....it isn't a good scene. That's happened to me a few times, I admit! I've heard of a program called Evernote (works for the Mac!) that I'm thinking of trying. Currently, I'm doing a little better with my "overall" notes and thoughts by using an online website called "Workflowy." I'm still searching for a better way to handle the volume of paper that I seem to accumulate, but at least I know that I perform better when I take the time to organize. As the old public service ad says, "Knowing is half the battle!"